What is the cheapest way to get from Cleveland to Columbus? The cheapest way to get from Cleveland to Columbus is to drive which costs $14 - $21 and takes 2h 22m. What is the fastest way to get from Cleveland to Columbus? The quickest way to get from Cleveland to Columbus is to drive which costs $14 - $21 and takes 2h 22m. Is there a direct bus between Cleveland and Columbus? Yes, there is a direct bus departing from Cleveland, Oh and arriving at Columbus, Oh. Services depart five times a day, and operate every day. The journey takes approximately 2h 25m. How far is it from Cleveland to Columbus? The distance between Cleveland and Columbus is 127 miles. The road distance is 142.7 miles. How do I travel from Cleveland to Columbus without a car? The best way to get from Cleveland to Columbus without a car is to bus which takes 2h 25m and costs $20 - $40. How long does it take to get from Cleveland to Columbus? The bus from Cleveland, Oh to Columbus, Oh takes 2h 25m including transfers and departs five times a day. 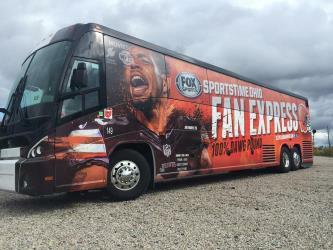 Where do I catch the Cleveland to Columbus bus from? 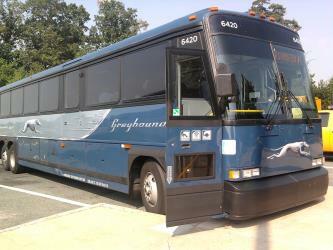 Cleveland to Columbus bus services, operated by Greyhound USA, depart from Cleveland, Oh station. Bus or fly from Cleveland to Columbus? 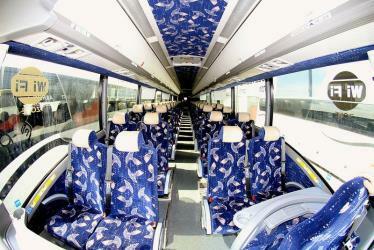 The best way to get from Cleveland to Columbus is to bus which takes 2h 25m and costs $20 - $40. Alternatively, you can fly, which costs $140 - $850 and takes 5h 4m. How long is the flight from Cleveland to Columbus? There is no direct flight from Cleveland Airport to Columbus Airport. The quickest flight takes 2h 57m and has one stopover. Where does the Cleveland to Columbus bus arrive? 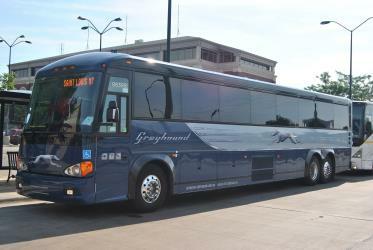 Cleveland to Columbus bus services, operated by Greyhound USA, arrive at Columbus, Oh station. What companies run services between Cleveland, OH, USA and Columbus, OH, USA? 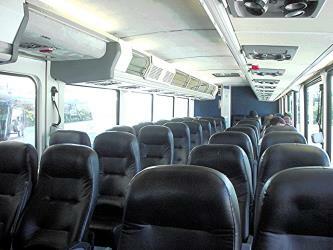 Greyhound USA operates a bus from Cleveland to Columbus 4 times a day. Tickets cost $20 - $28 and the journey takes 2h 25m. 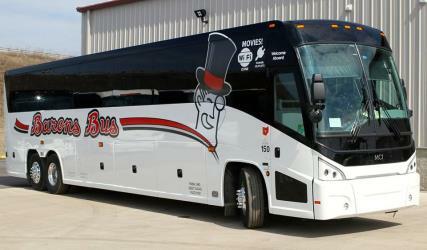 Barons Bus also services this route once daily. Alternatively, Delta, Air Canada and three other airlines fly from Cleveland to Columbus hourly. Can I drive from Cleveland to Columbus? Yes, the driving distance between Cleveland to Columbus is 143 miles. It takes approximately 2h 22m to drive from Cleveland to Columbus. Which airlines fly from Cleveland Airport to Columbus Airport? Delta, Air Canada, Southwest Airlines and two other airlines offer flights from Cleveland Airport to Columbus Airport. How do I get a bus ticket from Cleveland to Columbus? 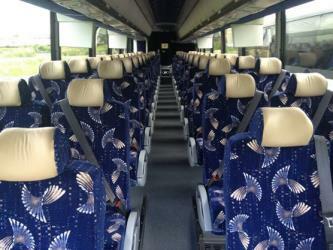 Book your Cleveland to Columbus bus tickets online with Greyhound. Where can I stay near Columbus? There are 230+ hotels available in Columbus. Prices start at $66 USD per night. The Ohio State University, commonly referred to as Ohio State or OSU, is a large, primarily residential, public university in Columbus, Ohio. Founded in 1870 as a land-grant university and ninth university in Ohio with the Morrill Act of 1862, the university was originally known as the Ohio Agricultural and Mechanical College (Mech). The college began with a focus on training students in various agricultural and mechanical disciplines but was developed into a comprehensive university under the direction of then Governor (later, President) Rutherford B. Hayes, and in 1878 the Ohio General Assembly passed a law changing the name to "The Ohio State University". It has since grown into the third-largest university campus in the United States. Along with its main campus in Columbus, Ohio State also operates a regional campus system with regional campuses in Lima, Mansfield, Marion, Newark, and Wooster. Ohio Stadium, also known as the Horseshoe, "the Shoe", and "the House that Harley built", is an American football stadium in Columbus, Ohio, United States, on the campus of The Ohio State University. Its primary purpose is the home venue of the Ohio State Buckeyes football team and the Ohio State University Marching Band; it also serves as the site for the university's Spring Commencement ceremonies each May. German Village is a historic neighborhood in Columbus, Ohio, just south of downtown. It was settled in the early-to-mid-19th century by a large number of German immigrants, who at one time comprised as much as a third of the city's entire population. It was added to the National Register of Historic Places on December 30, 1974, becoming the list's largest privately funded preservation district, and in 2007, was made a Preserve America Community by the White House. On November 28, 1980, its boundaries increased, and today it is one of the world's premier historic restorations. COSI (an acronym for Center of Science and Industry) is a science museum and research center located in Columbus, Ohio in the United States. Originally opened in 1964, COSI was relocated to a 320,000 square foot state-of-the-art facility designed by Japanese architect Arata Isozaki along a bend in the Scioto River in 1999. COSI features more than 300 interactive exhibits throughout themed exhibition areas. Rome2rio makes travelling from Cleveland to Columbus easy. Rome2rio is a door-to-door travel information and booking engine, helping you get to and from any location in the world. Find all the transport options for your trip from Cleveland to Columbus right here. Rome2rio displays up to date schedules, route maps, journey times and estimated fares from relevant transport operators, ensuring you can make an informed decision about which option will suit you best. Rome2rio also offers online bookings for selected operators, making reservations easy and straightforward.